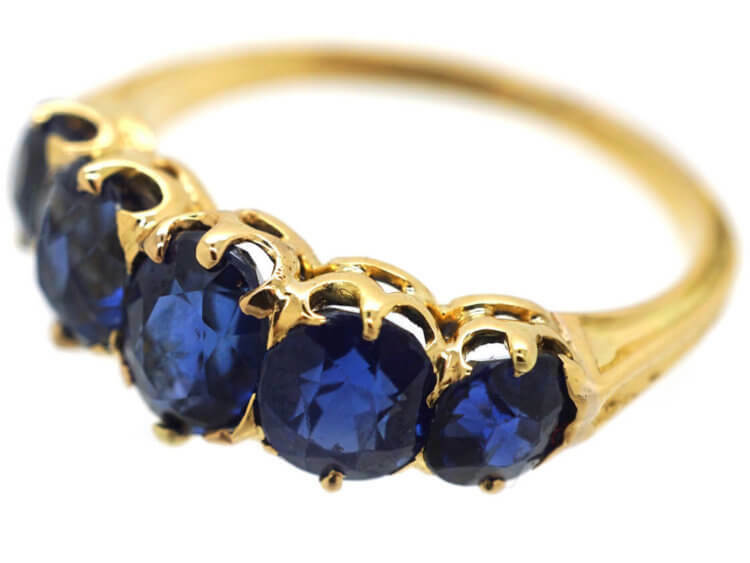 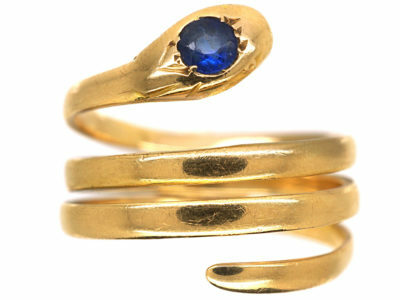 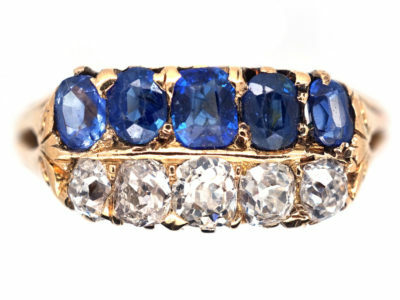 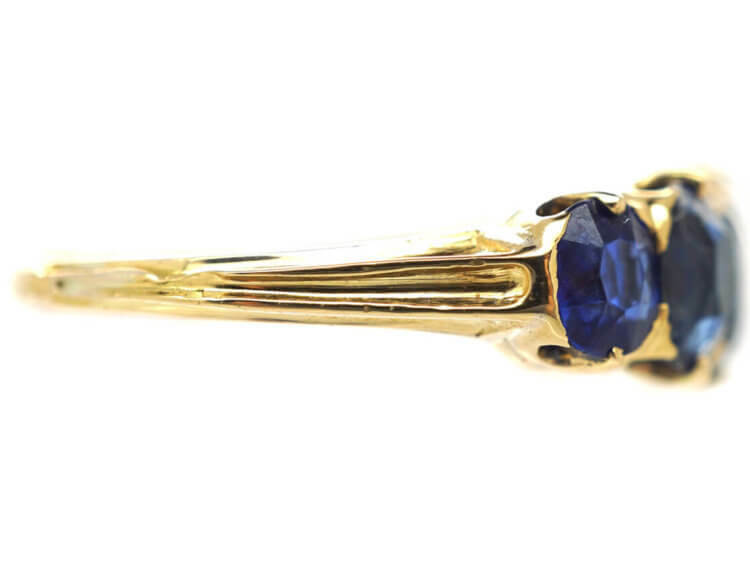 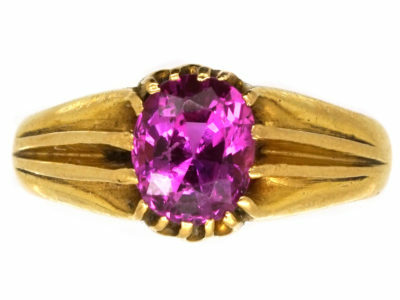 A beautiful 18ct gold ring that was made circa 1880-1900. 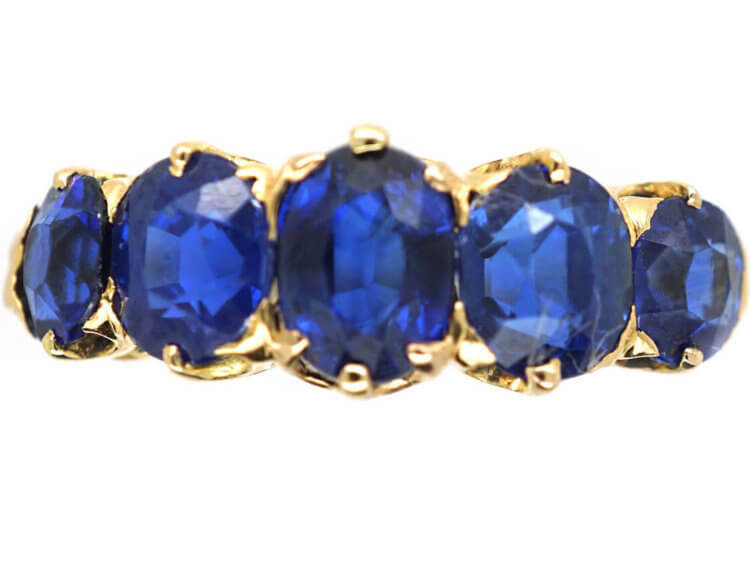 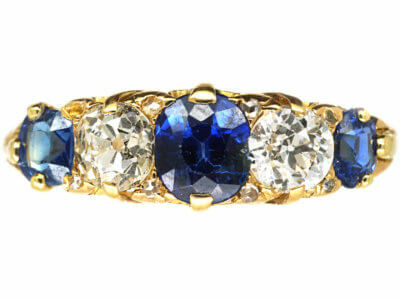 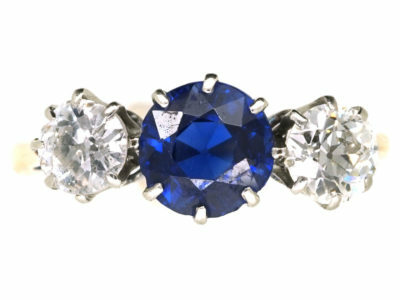 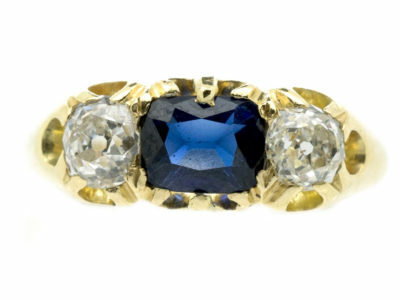 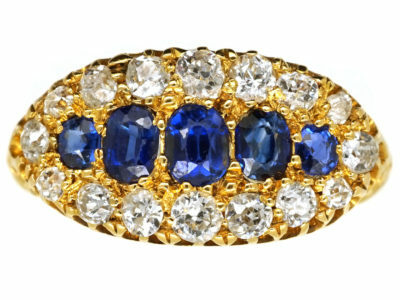 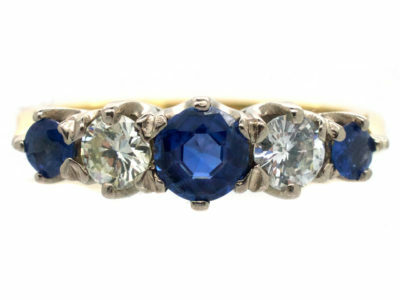 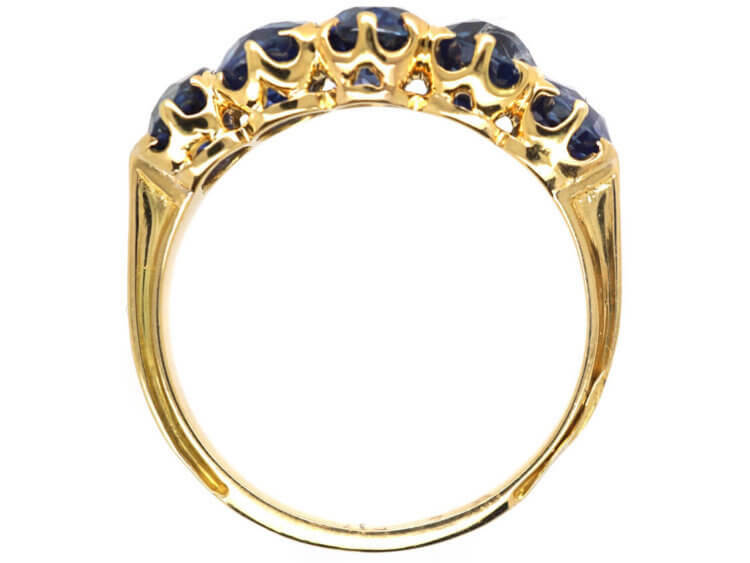 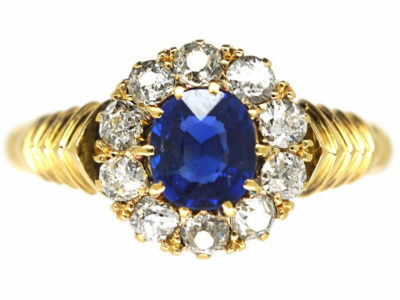 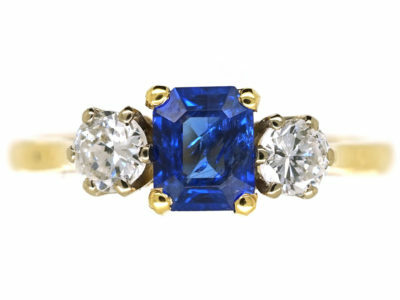 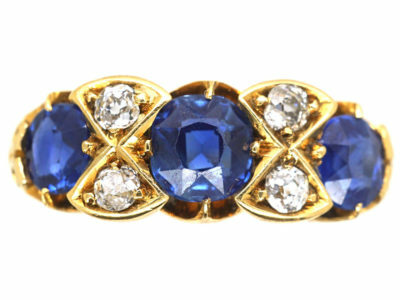 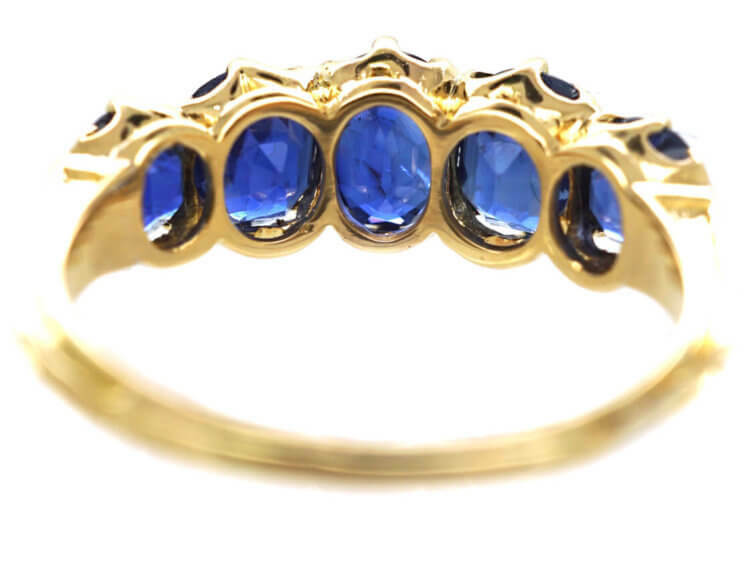 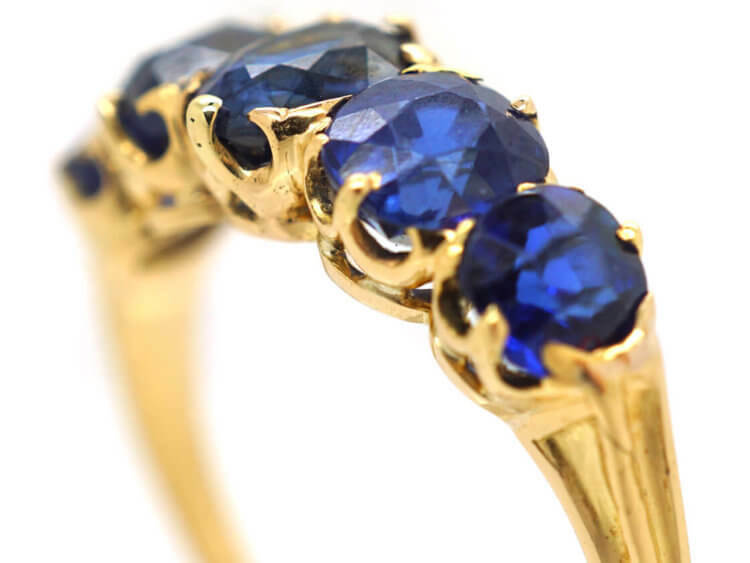 It has been set with five well matched natural unheated sapphires. 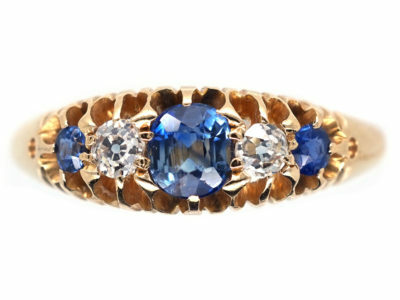 This style of ring can either be worn on its own or stacked with others, but it would also be ideal as an engagement ring.